1. The piece of latex for the bow is 40mm long and 5mm wide. Clean and attach glue to both ends and the center area. 2. Flip one end to the middle with the help of a ruler or grid. 3. Flip the other end to the middle and use some talcum to avoid any unwanted sticking. 4. Take another strip and attach glue. Also attach glue to the center of the bow. Attach the end of the strip as seen on the photo. 5. 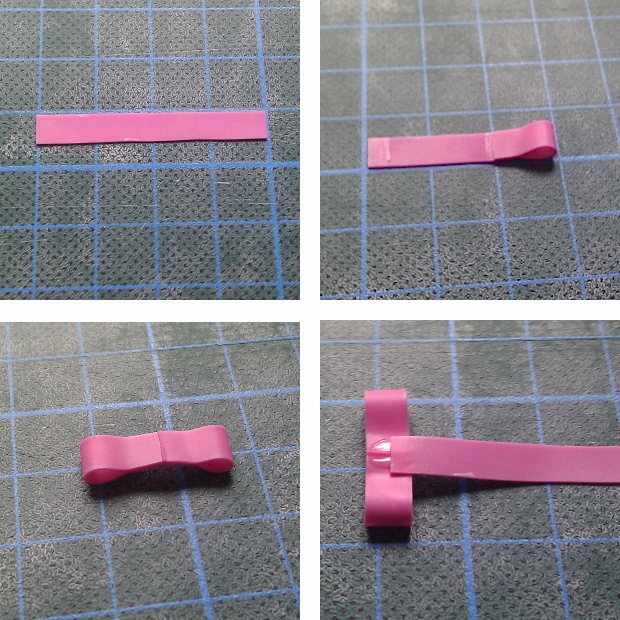 Wrap the strip around the bow to give the bow the desired form. Cut the strip. 8. Glue the both stripes together at the desired angle. I prefer ca. 60 degress. 9. 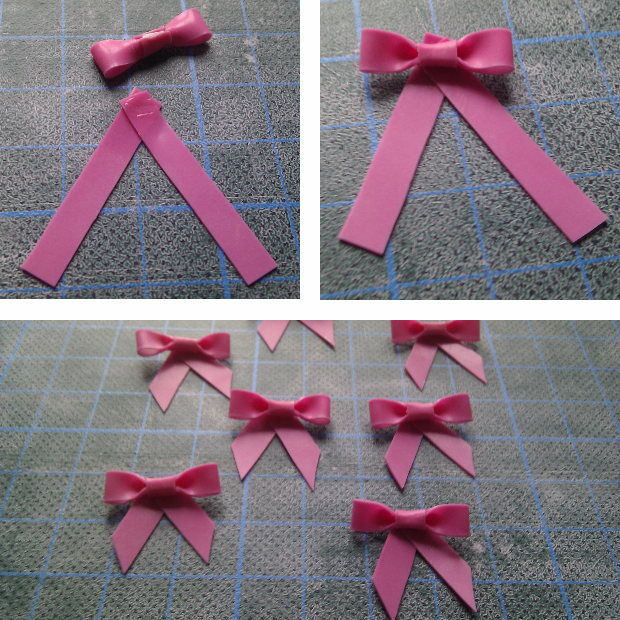 Attach glue to the back of the bow and the stripes just glued together. 10. Glue the bow to the stripes and cut away the parts above the bow. Also cut the lower stripes to the desired form and length. 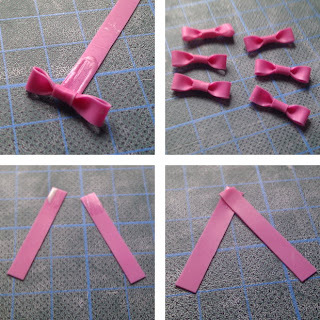 There is also another tutorial on larger bows. Please let me know, if my instructions work for you. And, let me see some pictures of your bows.